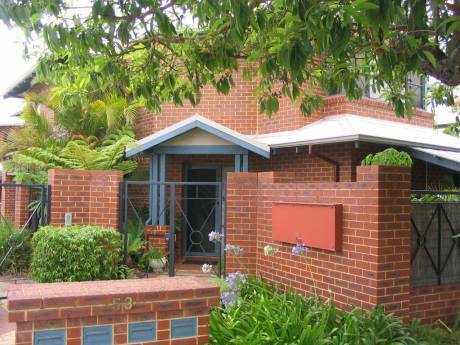 Come and sample the enviable laid back lifestyle of Perth. Our home is in use as a retirement home and would be ideal for a couple, or small family and linked only by a garage, compact, open plan and very easily maintained. The kitchen is newly renovated with built-in oven, ceramic hot plates, fan, and dishwasher. The double sink overlooks a totally private landscaped entertainment area at rear with BBQ and heated 5 person spa nestled between hibiscus and lavender. Leading from the kitchen is the dining area with access to covered parking and remote control garage door. Two steps lead down to the lounge with split level air conditoner, which cools/warms the entire open plan kitchen/dining/living areas. There is also a wood burning fire for chillier nights out of season. From the living area is access through a sliding door to the enclosed private, sunny west facing front garden, ideal for watching the evening sunset sky with a glass of chilled wine. The master bedroom, complete with split level air conditioner, has a walk in robe and queen bed, leading to a semi-ensuite, with bath/shower. There is a separate W.C. Bedroom 2 has a double bed and wardrobe with ceiling fan, and bedroom 3 is an office with computer and high speed internet, with extra wardrobes and storage. All bedrooms have ceiling fans. Both gardens have an automatic watering system. If you would rather spend your time out and about instead of housework and gardening, then this is the ideal choice, as it is very compact and so easy to maintain. There is only one grassed front garden to mow, in front of the walled patio or we can supply a gardener for you. 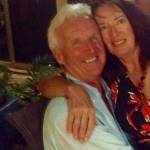 My name is Heather and my husband Leonard and I are energetic full of life retirees who love outdoor pursuits. We both have more time now to travel and enjoy life together, with swimming, walking, cycling, reading, going to local and Perth theatres and socialising. Originally from the UK, (the North of England and Scotland), we have family in the south of England, the North and Scotland. Ideally, we would like to swap for an extended time to see daughters and family in 2018. Anything over 3 months would be great, but we are open to negotiation. It is also our view that swaps that cover Spring and Autumn give everyone a better opportunity to enjoy their trip outside the extremes of weather in both WA and the UK. Summer, (Dec to Feb inclusive) in Perth is very hot, with temperatures around 35C onwards in the height of summer, and can rise to 44C. We are negotiable re dates but prefer not to spend a full winter in the UK. In our last swap, we exchanged cars, which worked out very well. 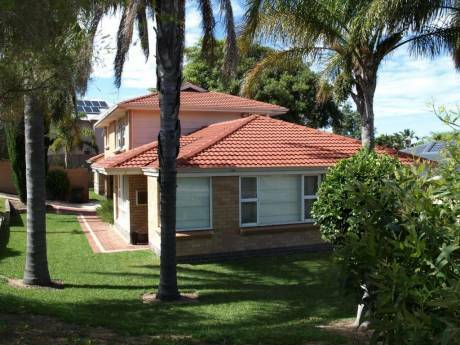 Our home is on the aptly named sunset coast in one of Perth's quiet northern beach suburbs. There are beautiful sandy beaches for surfing, kite and wind surfing and swimming just 2mins away by car, or 15-20 mins walking. There are cycle and walking paths to the nearby Hillary's Marina with a variety of cafes and restaurants and a very safe, shallow family beach, There is access to the Rottnest Island fast ferry, aquarium, shopping and pub from the marina at Hillary's boat harbour, 10 min drive away. Rottnest is a haven for cycling, swimming and snorkelling on fabulous white beaches. It is car free although apart from a hop on hop off bus service around the island. Our home is within walking distance to an huge recently extended air-conditioned shopping centre with a huge a huge selection of retail, library, health club, cinema complex and restaurants. Perth city is 25 mins away by car, or 10 mins to train station by car or bus with access to secure parking. It is a clean, beautiful city overlooking Perth water, and offers shopping, theatres, restaurants, and museums. Historic Fremantle port is a 40 mins drive down the coast. 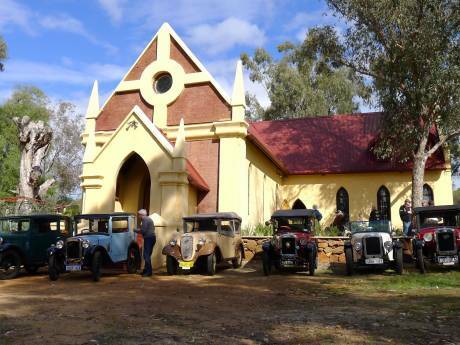 The Swan Valley wineries and tourist drives in the Darling escarpment is 35 mins away. Further afield, the vastness of WA is a explorers dream with an amazing diversity of sights to see. The North offers pristine reefs, whale shark swims, dolphin interaction, and an ancient landscape with gorges and aboriginal rock art. The South offers cool green forests of giant trees, the famous Margaret River wine growing region, and Albany with its majestic harbour.